It's often the case in stores that they only have a good supply of school uniform during the big Summer school holidays. The problem with this is that children don't stop growing after August, and they fall over and tear their trouser legs or draw all over themselves with whiteboard marker all year round. 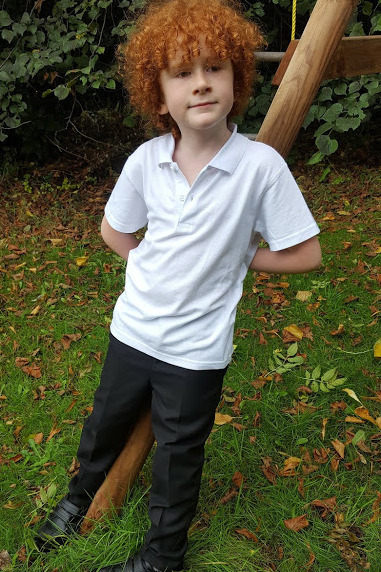 School uniform from Tu Clothing at Sainsburys is available all year round, and if they don't have your size or colour in stock at your local store, or your kids don't fancy going on an exhilarating school shopping trip, you can order whatever you want online. We've been sent a few items to try. 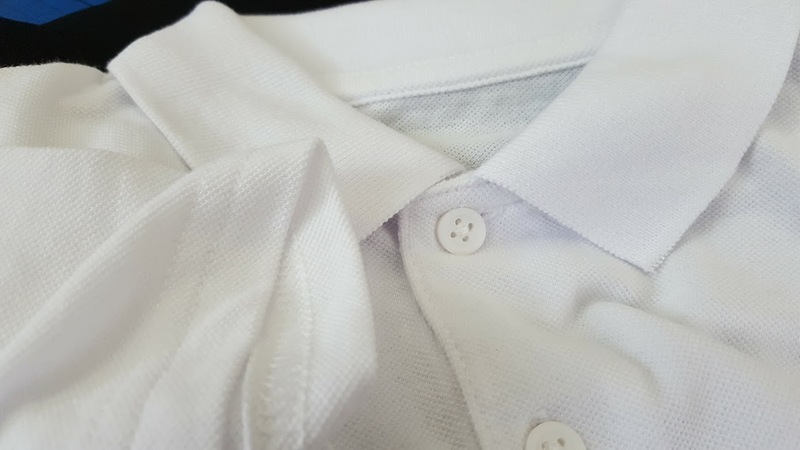 My children's uniform is a pretty straighforward white polo shirt and black trousers, and we've also been sent some plain white t-shirts for P.E. My son is in size 7-8 and one of the taller ones in his class. The sizing seems perfect, and exactly as I'd have expected, I'm very pleased with the length of the polo shirts, and they've kept their size and shape nicely after washing. 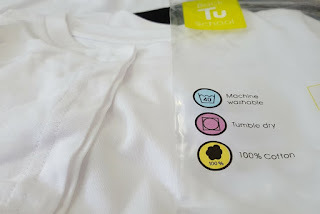 Sainsbury's Tu Unisex Polo Shirts are 60% cotton, available in packs of 3 from £3.50 (£4.50 for age 8-9). Sainsburys make a range of different school trousers including some with 3 different fits - slim, standard or generous, and longer length trousers for especially tall youngsters. 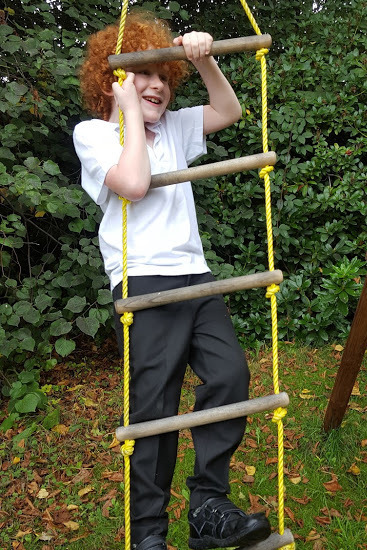 We've been sent the adjustable Boys Black Trousers 2-pack. 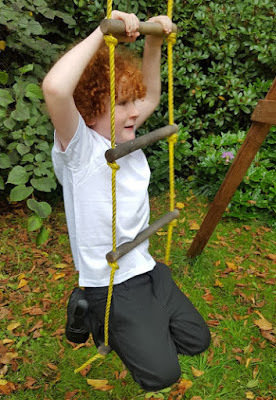 My 8 year old is very slim and so adjustable trousers are usually a must for us. These have two buttoned elastic adjusters so that the trousers stay even and comfortable, and they are have Teflon included to help cope with all the rough and tumble. They also have a sewn in permenant crease, so they'll always look good. After a couple of washes the trousers still look brand new, I haven't ironed them and I doubt I'd ever need to. They're a fairly thick, but soft Polyester/Viscose, and my picky son is very happy with them. 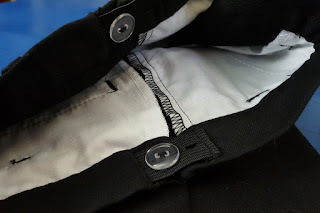 Our trousers are available in a pack of 2 pairs starting at £7 (£9 for age 8-9). P.E. T-shirts are the thing we cringe about when we turn up to sports day and only then realise our child is now wearing a skintight crop top and looks like they've escaped from 1983. Always handy to remember to check sizes during the big holidays. We've been sent a 3-pack of Sainsbury's Tu Crew Neck Tees. They're quite thick and a nice quality 100% cotton. I've washed ours twice and they've kept the shape and size they arrived with. The Crew Neck Tees start at £3 for 3 (£4 age 8-9). Overall I'm really pleased. 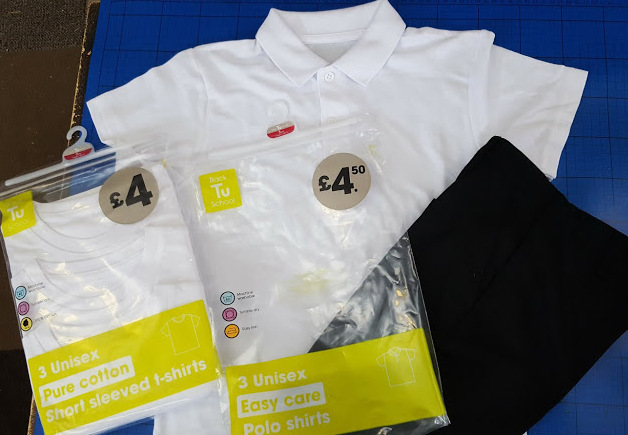 I've bought bazillions of uniform as I've now had children in school for over 18 years, and so far the Sainsbury's Tu uniform is performing well and the prices are good. The crew neck t-shirts are maybe a touch shorter than I'd like for longevity, but excellent quality and very soft, so I'll forgive them. The trousers are really smart, and the polo shirts haven't let me down at all - they come out of the tumble drier the same shape they were when they went into the washing machine. You can find out more about all of the School Uniform available from Tu Clothing at Sainsbury's, and order your own on the Sainsbury's Tu Clothing website. Order for delivery (£3.95) or to collect in your local store (orders over £15 free). I love the Sainsburys school uniform. I've already had two buy two new pairs of trousers for one of my girls who had a growth spurt last month! They are not expensive but last a lot longer than other supermarket brands I've tried.